I’m very proud to announce that we have signed a deal with Susan Schulman Literary Agency in the selling of translation and audio rights for all our active titles. 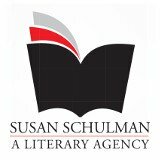 Susan Schulman Literary Agency specializes in representing foreign rights, motion picture, television and allied rights, live stage including commercial theater, opera and dance adaptations, and other subsidiary rights on behalf of North American publishers and literary agents. I’m so pleased to be working with their great team, they’re already working on three deals for us and will be instrumental in opening up opportunities both at home and around the world for our titles. We are very proud to officially release Amanda on the Danube: The Sounds of Music by Vancouver author, Darlene Foster. This is the fifth book in the Amanda Travels series about an intrepid 12-year-old girl who travels the world, embarking on journeys that always have an element of mystery and intrigue about them. They’re a fun series of books which have been well-received by readers. Amanda on the Danube is available nationwide in Chapters & Indigo stores and we just found out we’re about to be featured in the December issue of Quill & Quire. 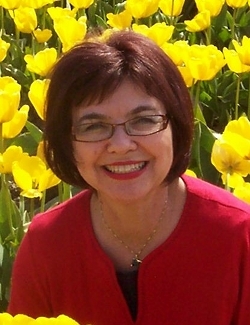 Darlene is a world-traveller herself, and splits her time between BC and Spain. Please join me in congratulating Darlene on another wonderful book. There will be a release event at Albany Books in Delta BC on Saturday November 19, 1-3pm. In addition, Darlene will be appearing at local BC and Alberta schools in November and December. Q: Darlene, I see from your website that your books are inspired by your travels, have you been to all the places Amanda has visited? A: Yes, I have. It was an amazing trip to the United Arab Emirates to visit a friend that inspired me to write the first novel, Amanda in Arabia: The Perfume Flask. The places I travel to and the people I meet inspire my writing. The world is an amazing place full of unique characters. Where ever I go I think, I must include this in a story. My first trip on an airplane was when I flew to England to marry my British husband, thirty-nine years ago. We have returned a number of times and I enjoy exploring that country and consider it my second home. My in-laws have since retired to Spain and we have visited them a few times there, each time discovering a different part of that remarkable country. As for Alberta, well I was born and raised there. I had the pleasure of experiencing a Danube river cruise which inspired the latest Amanda adventure, Amanda on the Danube: The Sounds of Music. Amanda doesn’t get to travel anywhere I haven’t been to yet. Q: How do you decide on the situation or adventure for Amanda? Is it something you saw on your trips and decided to use or just something you made up? A: It is usually something I actually saw on a trip. For instance, I own the perfume flask from Amanda in Arabia. I bought it at a crowded little shop full of interesting things. I felt it called out to me and that I had to buy it, having no idea it would be part of a book I would write one day. I saw the painting by Velazquez when I was in Madrid and felt the little girl was watching me. I have always loved vintage books and I came across a number of them during my visits to England. I decided Amanda would have the same love of books I have always had. As a child growing up in the Alberta prairies, I collected fossils and interesting stones in the badlands on our ranch. Historical sites such as I saw on the cruise down the Danube, made me think about the stories those ancient walls and statues harbour. All of these things have developed into adventures for Amanda. Q: How important do you think it is to ensure correct names of places, words, and phrases? Is it necessary? A: I do quite a bit of research and try to get the details as correct as possible. I don’t think it has to be dead on, these aren’t text books, but I want children to learn about another part of the world when they read these books. So I don’t want to misinform them. Q: Did you intend for this to be a series? A: I did not intend it to be a series initially, but once I completed the first book I decided Amanda should travel some more. Children have often asked me, “Where is Amanda going to next?” So I felt compelled to do a series and I’m so glad I did! The more I travel, the more ideas I get for Amanda’s adventures.